In early 2010 Apple announced the eagerly anticipated iPad and iPhone 4. They were hugely successful product launches, but at the same time Apple also came under increasing pressure from customers and developers to support Adobe Flash on their shiny new iOS devices. In reaction to the criticism Steve Jobs delivered a scathing personal attack on Adobe Flash in an Apple article entitled “Thoughts on Flash“. 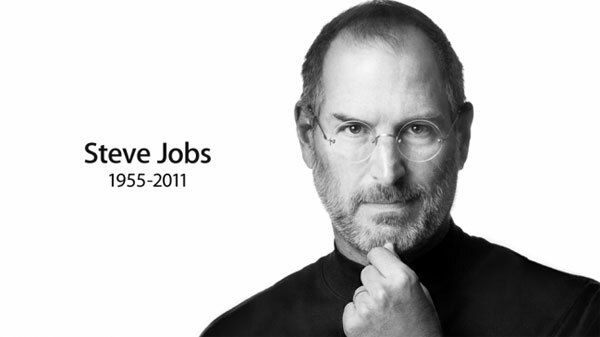 Jobs began by saying he “wanted to jot down some of our thoughts on Adobe’s Flash products so that customers and critics may better understand why we do not allow Flash on iPhones, iPods and iPads“. Open. Adobe’s Flash products are 100% proprietary. By almost any definition, Flash is a closed system. Full web. Adobe has repeatedly said that Apple mobile devices cannot access “the full web” because 75% of video on the web is in Flash. What they don’t say is that almost all this video is also available in a more modern format, H.264, and viewable on iPhones, iPods and iPads. Reliability, security and performance. Symantec recently highlighted Flash for having one of the worst security records in 2009. We also know first hand that Flash is the number one reason Macs crash. Battery life. H.264 can be decoded in hardware which doubles battery life during video playback. Touch. Flash was designed for PCs using mice, not for touch screens using fingers. Cross platform. We know from painful experience that letting a third party layer of software come between the platform and the developer ultimately results in sub-standard apps and hinders the enhancement and progress of the platform. Reading Jobs’ article again really highlights his genius for strategic vision. How prophetic that closing paragraph was in light of Adobe’s announcement just 18 months later to cease development of Flash for mobile devices, and focus on HTML5 instead. The news of this dramatic Adobe turnaround came in an official blog post from Danny Winokur, VP & General Manager, Interactive Development at Adobe. Our future work with Flash on mobile devices will be focused on enabling Flash developers to package native apps with Adobe AIR for all the major app stores. We will no longer continue to develop Flash Player in the browser to work with new mobile device configurations (chipset, browser, OS version, etc.) following the upcoming release of Flash Player 11.1 for Android and BlackBerry PlayBook. Although Jobs was undoubtedly correct to back the HTML5 open standard, I have to question whether he was merely a soothsayer or the architect of Flash’s demise. Clearly with no Flash support on Apple’s iOS products there was a massive disincentive for developers to continue using Adobe’s technology. Either way, Jobs got his way. It’s a shame he never got to see it. This entry was posted in Android, Apple, General, iPhone, Techie and tagged Adobe, Adobe Flash, Apple, Danny Winokur, Flash, HTML5, Steve Jobs, Thoughts on Flash by djh. Bookmark the permalink.